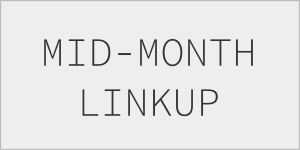 This mid-month linkup is an opportunity to meet other bloggers, discover other blogs, and create friendship as you go! Share anything you like. Thank you for doing this; I've gotten to see a whole bunch of other blogs because of it.